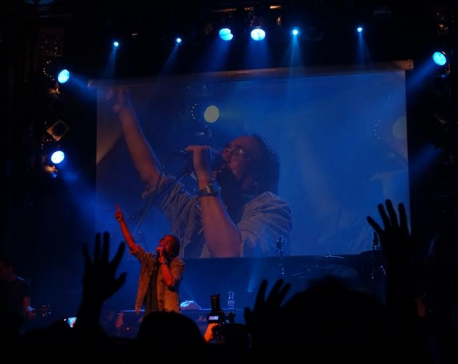 KATHMANDU, July 31: Nepali international folk-rock band Nepathya performed at Gruenspan music club in Hamburg, Germany on July 30. The event organized by Tamu Samaj, saw the band performing their recent numbers with their classic hits. 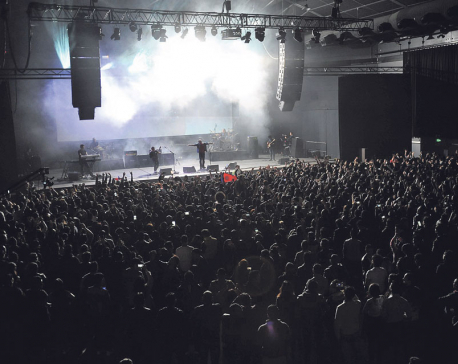 “Although Hamburg has a very small Nepali community, we decided to host the band as a respect to acknowledge the work they are doing to uplift the image of our society,” said coordinator of the event, Sundar Gurung. 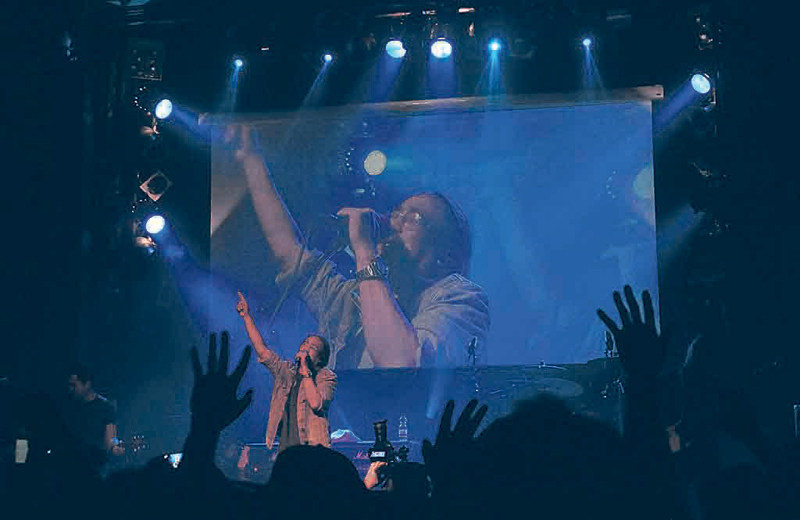 Nepathya’s front-man Amrit Gurung took some time to talk about the recent situation of Nepal. “Currently, many villages in Nepal are suffering due to floods and landslides. Organizations are doing relief work but I plead you all to look for an organization that you can trust and make contribution to help our fellow citizens who are in dire need,” he said. “We have seen many political changes in our lives. We have fought for democracy and for a republic state in Nepal. But it now seems the fight to freedom is still not over. We still live in a society where fear prevails, and suffers from lack of integrity among leadership, civil servants, and even professionals. It is unfortunate that our nation lacks a strong rule of law,” he further added. He urged Nepalis abroad to continue their support to issues that are fighting against the irregularities back home. Nepathya will now move to Copenhagen to perform at Amagerbio on August 2. The show will be hosted by the International Nepalese Artist Society (INAS), Denmark.